One of the difficult parts of implementing change is that what really needs to change is not as it appears on the surface. What you initially think you are changing is usually only a part of the complete picture. There are multiple layers – aspects of the organization and the people who make it up – that need to also change in order to achieve the change at the surface. At the surface of the change is the outcome. It is the reason you are changing anything at all; you want to cause a different result than what the organization has achieved in the past. 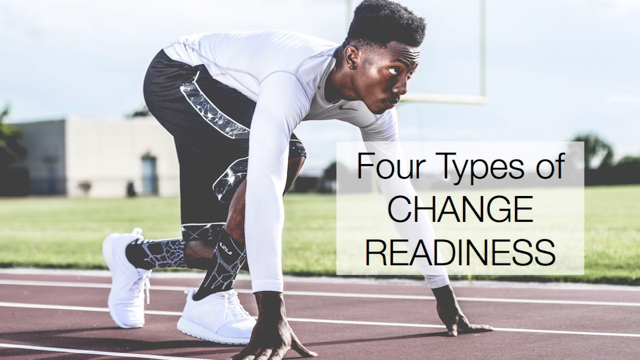 Whether the outcome is earnings, customer service, efficiency, effectiveness, or morale, any organizational change has a needle it is expected to move. Consider the fictitious example of ABC Corp, an organization that historically has built predictable products with existing technology. ABC Corp has a vision to become a more innovative company. The outcome of a key change initiative is to add more innovative products to its portfolio. A change in outcome, of course, does not occur magically on its own. You have to dig deeper to determine how to cause the needle to move. Peel off the surface layer, and you will expose a change in process. In order to achieve the outcome, you will most likely need to create, improve, or dismantle at least one process. The process might be a step-by-step flow of activities, or it might be a set of cause-and-effect assumptions for how to achieve the outcome. Either way, you are changing how work gets done in the organization. For ABC Corp, the initiative will focus mainly on the new product development process, especially the idea generation phase. New activities will be added to improve creativity. The current steps for vetting ideas will gain new criteria for selecting ideas that will be developed. To implement a process effectively, individuals need to change their behaviors. Some might have a new task to perform. Others may need to act differently in meetings. Some may have a new form or report to complete. And, some may need to communicate differently. Determine the behaviors that individuals need to add, change, or stop in order to support the change. At ABC Corp, the key behaviors identified are for marketing to solicit ideas from new sources, and to use the new criteria for vetting ideas. In meetings where new product ideas are discussed, people are now expected to defer judgment and explore all ideas. Underlying the behaviors of individuals is the collective set of conditions that either encourage or discourage people from doing them. There are a number of factors in this layer, such as attitudes, perceptions, habits and emotions. The main factor affecting performance of new behaviors at ABC Corp is the attitude toward risk-taking. At an individual level, employees need to become comfortable sharing wild ideas. Managers need to believe it is worthwhile to break from past successes and pursue uncharted territory. As a change agent, work backwards through the layers to determine the underlying factors that will ultimately cause the desired result. Although change becomes more difficult with each layer that you expose, the deeper you go, the more sustainable the result.